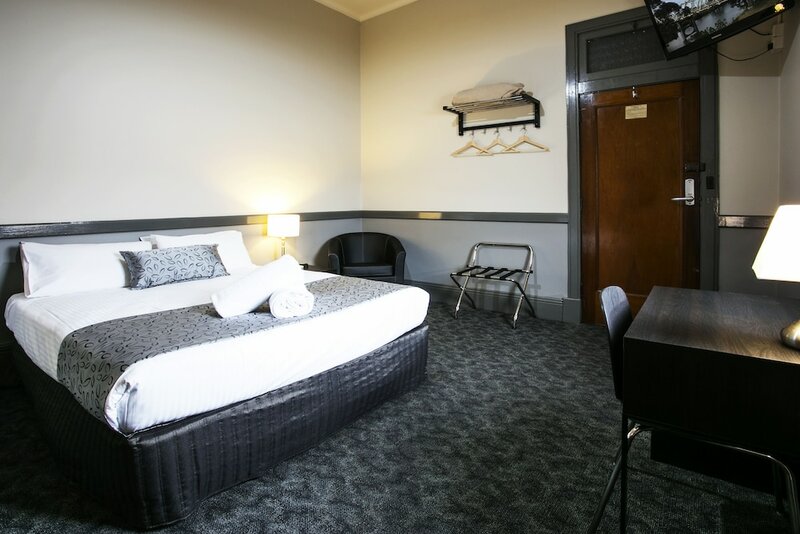 With a stay at Shenanigans at the Imperial in Maitland, you'll be within a 5-minute drive of Maitland Showground and Maitland Regional Art Gallery. This hotel is 17.8 mi (28.7 km) from University of Newcastle and 18.4 mi (29.6 km) from Bimbadgen Estate. Make yourself at home in one of the 14 air-conditioned rooms featuring LCD televisions. Complimentary wireless Internet access keeps you connected, and digital programming is available for your entertainment. Bathrooms have showers and hair dryers. At Shenanigans at the Imperial, enjoy a satisfying meal at the restaurant. Quench your thirst with your favorite drink at the bar/lounge. A complimentary continental breakfast is served daily.